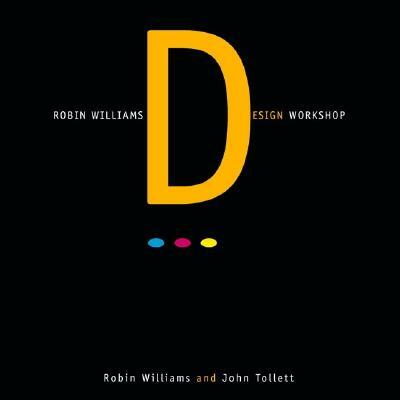 Robin Williams introduced design and typographic principles to legions of readers with her best-selling Non-Designer's book series. Now she and designer/co-author John Tollett take you to the next level of creative design with practical advice and lessons in composition, visual impact, and design challenges.Presented in Robin and John's signature style--writing that is so crystal clear, it's accessible to absolutely anyone--and illustrated with hundreds of full-color design examples, the ideas in this book tackle design theory, visual puns, and layout and graphics strategies for real-world projects. Developing designers will appreciate the author's imaginative approach and well-chosen examples.Discover practical and effective design principles and concept-and how to apply them to virtually any project.Learn why some designs are attention-getting and others are not.Learn how to choose just the right look--corporate or casual, classic or trendy--for specific types of projects, such as business cards, letterhead and envelopes, newsletters and brochures, logos, advertising, and more.Test your design acumen by comparing before-and-after examples.Find a wealth of inspiration for your own design projects.Gain insight into the design process by studying the works of guest designers, who offer their personal commentary and insights. Robin Williams is the author of piles of best-selling and award-winning books, all by Peachpit Press, including "The Non-Designer's Design Book, The Little Mac Book, The Non-Designer's Web Book," and many more. Robin has been teaching college-level graphic design for fourteen years. John Tollett is a designer, art director, and illustrator with over thirty years experience in the graphic design world. He is the co-author of several best-selling books, including "The Non-Designer's Web Book" and "The Little iBook Book."